How much time does the Mayor role take? Is it difficult to fit in both your regular job and Council duties? Do you get to have a personal life during the year that you serve as mayor? I get these kinds of questions all the time, and the answers change depending on what kind of week I’ve had. Even though the Mayor title is largely ceremonial, it does take extra hours beyond that of a Town Councilmember. Yes, it can be hard to take care of the business of McNutt & Company, Inc., my public relations consulting firm, and also fulfill civic duties, but since the salary for Town Council is a whopping $150 a month, plus $50 a month for travel expenses, it’s not feasible to take a sabbatical from my day job. I’m pretty used to keep a lot of plates spinning, so most of the time it’s not a problem. This week was more difficult because there is no time in my schedule to be sick, so a lost couple of days can play havoc with my to-do list. It’s also important to me to try to stay connected to important elements of my personal life such as spending time with family and friends, attending church and making it to as many book club meetings as I can. Last night my husband and I enjoyed the annual St. Patrick’s Day party at the home of long-time friends AANA [MAHONEY] and LARRY PREGLIASCO. The price of admission to their delicious home-cooked corned beef and cabbage dinner was an Irish joke. Thank you LISA RICHARDSON for providing me with a riddle. [What’s Irish and stays outdoors all summer? Paddy O’Furniture, of course.] 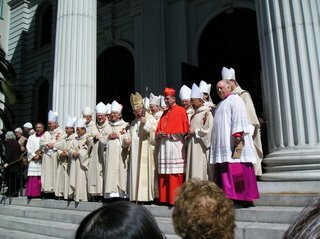 And this morning I attended the 25th anniversary mass of the San Jose Diocese at St. Joseph Cathedral in dual roles – as Mayor and as a member of St. Mary’s Pastoral Council. St. Mary’s started as a mission in Los Gatos in 1880 and has been a parish church in town since 1912, making it one of the oldest of the 52 churches and missions in the San Jose Diocese. 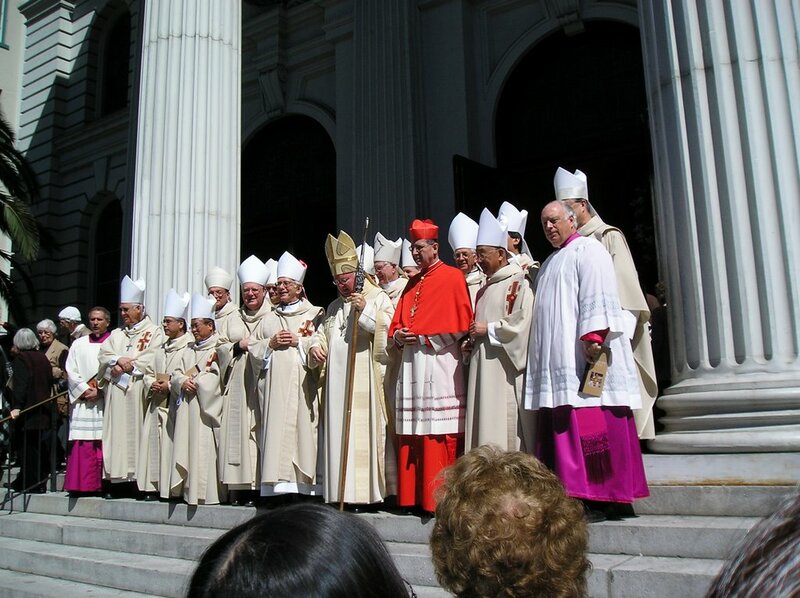 It was a beautiful ceremony with many visiting bishops in attendance and His Eminence Roger Cardinal Mahony, Archbishop of Los Angeles. They had special seating for civic leaders so I was seated with mayors from San Jose, Saratoga, Santa Clara and other elected officials. A truly memorable experience that was shared by several others from Los Gatos including ROSE HIGASHI, CHRIS MILLER, TERRI TROTTER, FR JUSTIN, and probably others I didn’t see in the standing room only crowd.